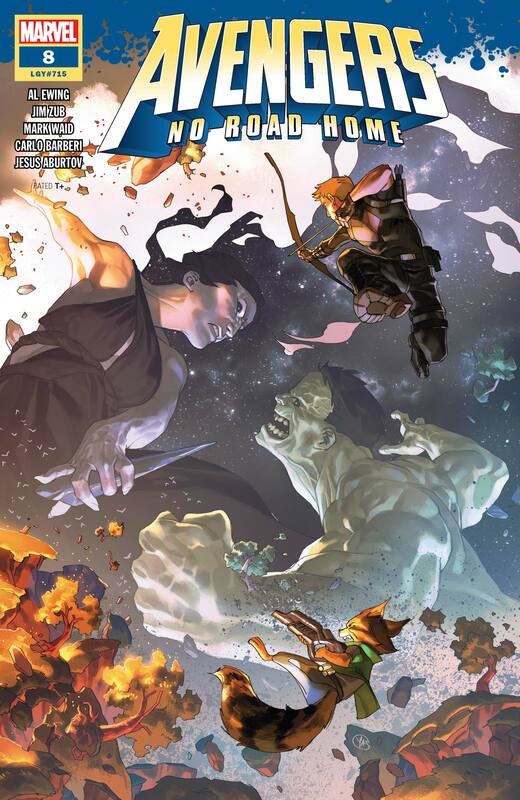 The eighth issue of the weekly saga that focuses on a group of Avengers squaring off against Nyx, Goddess of Night came out this week and it continued its amazing run of epicness. This week we get Hulk one on one with Nyx as the remainder of the Avengers start to reconnect. Hulk, Hawkeye and Rocket find themselves facing off with Nyx, while Hercules, Voyager, Scarlet Witch, Spectrum, Conan and Vision battle against Oizys, Goddess of Misery in the Hyborian Age. The key to this entire series is how expertly these Avengers blend together. An unlikely crew, they work surprisingly well together. And now it appears as if the two groups are finally reuniting. However, the end of the issue set up an even worse situation for these Avengers to face. There are only two more issues to go and the anticipation level continues to rise. I hope that the final two issues can maintain the excellence of the first 8 issues, and I have no reason to believe that they will not.